In 1993, the Board of Trade was once again renovated, the floors leveled and carpeted with a movable dance floor. It is now available for special event rental, so the public has the opportunity to experience the grandeur of days gone by. 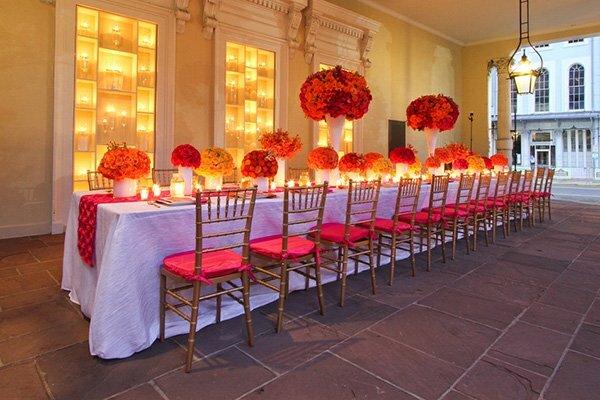 The space can currently accomodate up to 500 guests reception style and 250 seated. A remnant of the St. James Hotel built in 1859 and noted for its cast iron façade, the arcade now serves as the formal covered promenade to the main building and loggia to the forecourt known as The Plaza. 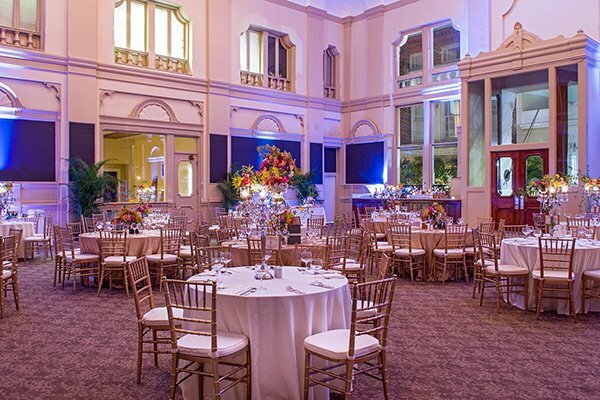 Ornamented by iron gates, the arcade measures 22- feet wide by 59-feet and can accommodate up to seventy guests. Its Seating capacity for alfresco dining would be about forty persons. Canvas drop cloths are available to enclose the open arched side during inclement weather. The arcade is also used effectively as a serving stage to the plaza when in use. Constructed in 1968 the former site of the original St. James Hotel, the Plaza offers a glimpse of the Board Of Trade building from Magazine Street. Designed by Koch & Wilson along the lines of small Parisian Parks, the open court is paved in pink flagstone with four raised planters arranged around a delightful fountain. One long planter spans the length of its east wall opposite the arcade with Magnolia trees. 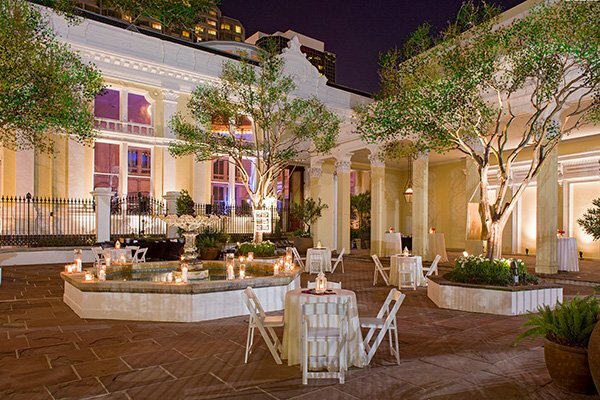 The Plaza can accommodate sixty persons seated or 250 at a standing cocktail reception. Behind The main Building, a private patio with tables and chairs is available for use by guest as a smoking area, or to accommodate overflow. The Trading Room floor houses separate restrooms for men and women complete with fixtures for handicapped patrons.